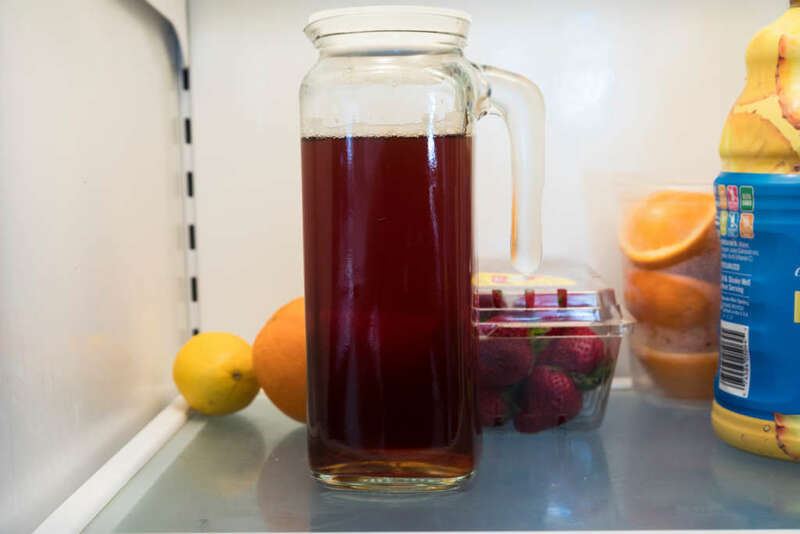 There is no substitute for a tall glass of freshly brewed, made-from-scratch iced tea on a hot summer day – but the catch is you have to turn on the stove, boil some water and heat up the kitchen to make it. Or do you? 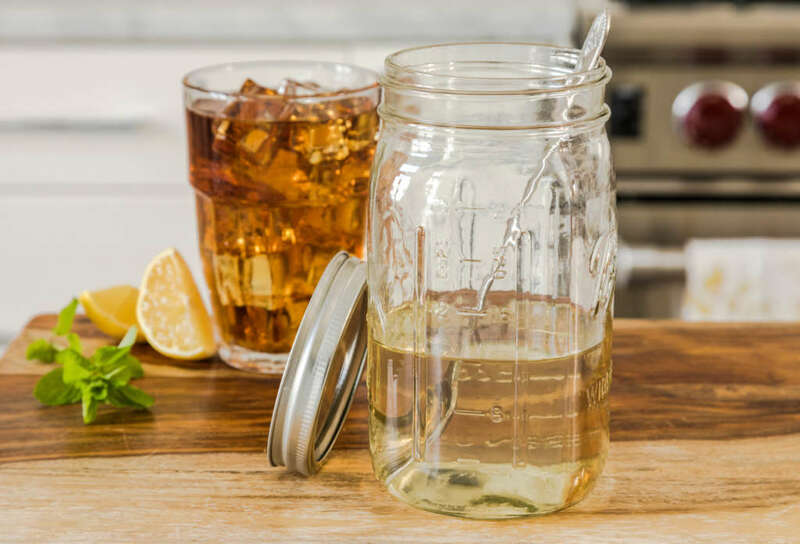 Actually, there are a couple of non-traditional ways of brewing tea you can use to make delicious, fresh iced tea from scratch without even turning on the stove! Next time the summer heat hits hard, try these 2 methods and stay cool while brewing fresh tea. This brewing method is as simple as it sounds – you’re merely using the heat of the sun to slowly brew tea bags in a clear container of fresh water. 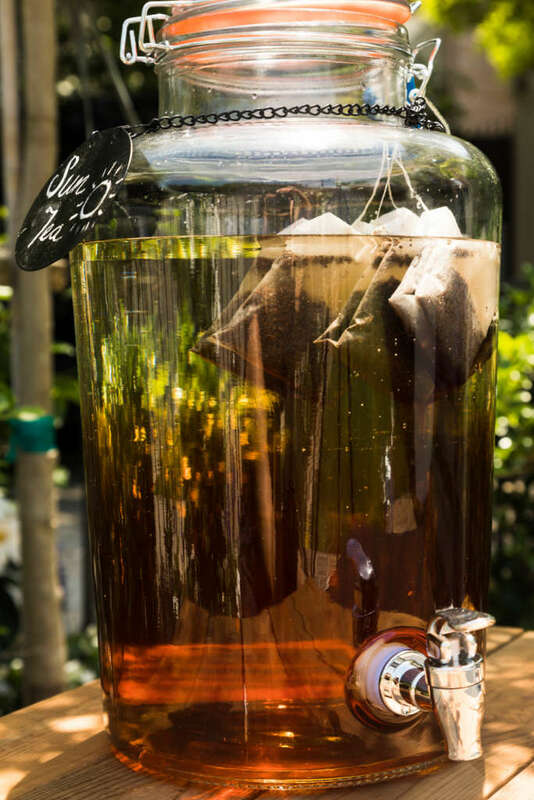 Sun tea is a fun summer project for kids, too. Have them help you get it started during the early morning sunshine so they can marvel at the brewing process all morning and then drink it at lunch! Heat-based brewing methods bring out the tannic acids in tea, which can give even top-quality tea a bitter taste if you’re not careful about brewing times. Not so with the cold brew method, which results in the smoothest tasting tea ever. Plus, it couldn’t get any easier. *To make 1 cup of simple syrup, combine 1 cup sugar and 1 cup water in a small saucepot over high heat. Stir. Bring mixture to a boil; cook and stir until sugar is dissolved, about 90 seconds. Place in refrigerator to cool. Pour into a squeeze bottle or jar for use.